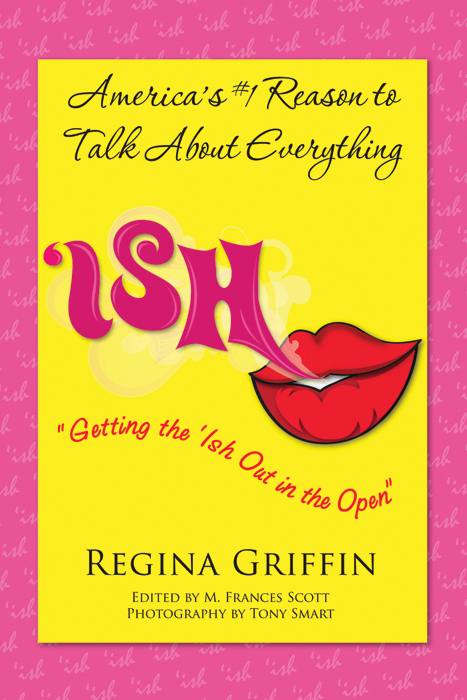 Regina Griffin is the author of “Ish - Getting the ‘Ish out in the Open,” and its spicy follow up, “ISHues – A Second Helping of Del’ishcious Ish.” Originally inspired by a stenciled phrase on a wall, Regina used her in your face personality and life’s follies to craft this engaging series. The explosive culmination is two books of page-turning, gut-busting, make-you-wanna-say…uuuuum expressions. Regina Griffin is a native of Atlanta, Georgia who holds a bachelor’s degree in Broadcast Journalism. Her former writing credentials include editor’s choice blogger, contributing writer for The Atlanta Journal & Constitution’s Intown newspaper and speech writer for a former Commissioner of Public Safety. This entrepreneur has recently added the titles of author and publisher to her long list of professional credentials. A working author, Regina enjoys connecting with readers. She spends the majority of her time traveling the country, dishin’ the ‘Ish at book signings, speaking engagements and media venues. Ish #290: Wish. Believe. Pray. Wait. Receive! Last week I had a conversation with a brilliant, talented, and emerging author. Her short journey as a writer had already been plagued and deflated by those finding it difficult to show happiness for her achievements. It was agonizing to hear her tales of how mean-spirited people had put so much energy into minimizing her dreams and triumphs. Drowning the dreams of others by holding them under the murky waters of insecurity means the oppressor is also being held under. In essence, people sometimes take themselves out in their attempts to stifle others. People who comfortably wear the cloak of jealousy, meanness, and insecurity are burdened by goodness. They fail to realize there is no value in deflating the hopes of others. It doesn’t broaden their horizons, and it certainly doesn’t make their star shine brighter. Real power, however, is found in setting personal goals and aligning with people who have the influence and resources to bolster success. Choosing faith and fulfillment over doubt and distress breeds a clearer path to success. When you feel compressed and defeated by the lack of support from those closest to you, keep pressing toward the mark of your highest calling. Your instincts are purposed by the Creator. Your existence on earth is destined. Your life’s journey is anointed, and your faith must be relentless. Write out your hopes, dreams, and goals for the year, then check them off like grocery items. Forget a New Year’s resolution, start a Journal of Fulfillment. Use it to track your goals and talk yourself off life’s many ledges of disappointment. On your darkest days, instead of waddling in self-pity, pull out your journal and bring something to fruition. Develop a myopic vision for achieving your ambitions. People who love you will understand, respect, and encourage your intense focus. True supporters wouldn’t dream of detracting you. Stop making time for those who discourage you and genuinely embrace those who actively support and encourage you. Maintaining perspective of where you are versus where you’re headed helps in achieving breakthroughs of epic proportions. Proclaim that this year will be your time to burst through, your moment to stand in the center of the universe, and your space to be heard. If you’ve given your power away in previous years, take it back this year. Submit to excuses being eradicated, struggles being overcome, careers launched, goals fulfilled, relationships manifested, addictions ceased, afflictions conquered, diseases cured, and dreams realized. If most of us had a slice of cake for every time we heard someone speaking of their goals, we’d all have millions of dollars in Betty Crocker stock. When speaking of your goals, what are you really referring to, something you hope to do or something you are actively planning?Most would probably confess the former over the latter, and this is where the root of the problem rests. Strategically speaking, real goals are often born a piece of scratch paper, doing so adds visual organization and creates tangibility. This step is followed by the creation of a step-by-step plan of attack and deadlines (30 days, 60 days, 90 days, 365 days, etc.). Each step must have a timeline and measurable scale of effectiveness. If there’s no timeline for execution, deadline for completion, or measurement for evaluation success , it’s no a goal. It’s simply something you’re thinking about doing. Finally, the most important element in actualizing your goal is protecting and feeding it with optimism. Your actions and words play a monumental role in how your life progresses. Get implicitly clear with the fact that all thoughts, words, and actions expend the same amount of energy – whether benevolent or malign. So use your energy for optimal good and approach tasks from a place of hopefulness, anticipation, and promise. When and if you become weak in the practice of seeing the glass half-full, reflect on the cynical people in your life. View their lives as a case study of how pessimistic thoughts, negative energy, and delayed actions are like a necklace of bricks. It all weighs you down, makes your chest heavy, and chocks the life out of you. Conversely, observe those who choose the path of optimism and speak abundance. No path is perfectly paved without rocks, but the road of optimism is paved with fewer emotional potholes. Speak the language of abundance – can … will … and when. Imagine where Britain’s Queen Elizabeth II would be today if she talked herself into believing she was anything other than monarchy royalty. What if she managed to delude herself into believing she was not born into British nobility nor the daughter of George VI and Queen Elizabeth The Queen Mother. What would her life look like had she denied the rights of her birth, pretending to be someone she was not? The world probably wouldn’t be witnessing her magnificent Diamond Jubilee celebration. Even as commoners we face the same dilemmas, some more defying than others. Still, if allowed, denial can choke the life out of life. How many great people have you seen suffer the self-inflicted tragedy brought on by denial? Unfortunately, we have seen countless public figures stumble in their renunciation – presidents, priests and world leaders succumbing to sexual deviancy; remarkable athletes and entertainers devouring the bait of drugs. And most of us would be millionaires if we had a dollar for every embattled parent forfeiting his or her children to alcohol or substance abuse. Each derailment started with a dastardly spirit of denial. When you deny or lie about where you are in life, it blocks the gateway for the universe to bring forward your destiny. If you live a lie that you have a college education, then your neighbor would never think to share information about the full scholarship he heard about. If you deny the truth about your finances and run from credit obligations, your creditors can’t reach you to tell you about the restoration program they offer. If you deny your addictions, your loved ones can’t support you through rehabilitation and spiritual freedom. Conversely, when you open the window of your life force and reveal your infractions, frailties, and deficiencies, the earth will swell at the chance to push you toward your destiny. Then there is God, the Almighty who sees, knows and hears all. Though, He never forces us to be anything (not even what He intended). Our will is always our own, and we are free to be, or not. So even though God had preordained and purposed Queen Elizabeth’s II life, she could have very well denied its course, opting for a reclusive life or disavowing her royal roots, but it would not have been God’s purpose. We must choose in order to be chosen. What shield of denial are you wearing that’s blocking God ‘s intentions for you? Inspect your life and challenge the people, addictions, interferences or habits deterring your purpose. Once you identify the viruses in your life, mark them for deletion. Start creating opportunities, relationships and support systems that champion and speak to your destiny. Above all, develop a creed that forces you to challenge those things working in opposition to God’s plan. Live life courageously; knowing that living in denial, you can never fully be the person God intended. Write your history in truth, not denial. Whoever said fear is a poor excuse for motivation, lied! Two years ago it was the fear of being taken by seedy third parties that propelled me to become an independent author. Even today, the fear of what I might be missing, keeps me pressing for the next tier of success. Though I’ve written most of my life, my true aspiration (like most writers) was to have my works published. It didn’t take very long to realize the publishing world is a mean and hard road to travel – filled with double-talk, layers of third-party payouts and wordy contract language. I would stat hyperventilating just sifting through online possibilities for getting published. Then one day, after years (literally) of gathering information and researching online publishing options, it hit me “It’s now or never.” The voice in my head made me stop in my tracks and for the first time, I sat down and listed all the pros and cons of going the independent versus traditional publishing route. I decided indie was the way to go! Once I determined the level of support I needed to be a successful start-up author, I decided the first indie publisher I spoke with who met my terms, would become my partner. That first call lasted 45 minutes and the rest is my publishing for dummies history. Fear of the unknown and being taken advantage of, was the kick I needed to jump-start my dreams. When it comes to attacking the impossible, I beg people not to fall into the mental trap of believing real life execution is as easy as following your plan on paper. Paper strategies mean nothing. It’s simply an outline and skeletal system for where to begin, but it doesn’t represent the girth of the impending battle. Being an entrepreneur is not for the thin-skinned or faint at heart. It takes courage and vision to see the rainbow behind the shroud of fear. Like most start-ups, my Achilles heel was money, specifically the lack of it. Unless you’re willing to auction off your first-born, get ready to live a luxury-free life, because firing up the dream is expensive. In my plight, cost was a real culprit because I was feeling my way around the darkness–and boy were my mistakes costly. Getting past my financial woes wasn’t easy. It wasn’t until I found a new lover that things started to turn for me. I fell in love with an international, savvy, renowned player (not playa) –his name —Social Media. It was love at first site. We began spending all our evenings together, and replacing those rambunctious nights out on the town with quiet, quality time at home…on the computer. All jokes aside, social media is what changed the game for me. It helped me to get smart quickly and at minimal cost. The resources, information and expertise available through Facebook, Twitter and LinkedIn are mind-blowing. I used it to get everything I needed – either free, on a 7-day trail or deeply discounted. On the heels of my torrid love affair with Mr. Social Media, I felt empowered through my due diligence and decided to start my publishing company. My first book, “Ish” was intended as exposure to the industry – an introduction to get my feet wet. I never knew it would result in the literary demand for a second book, even more a series, but it did. 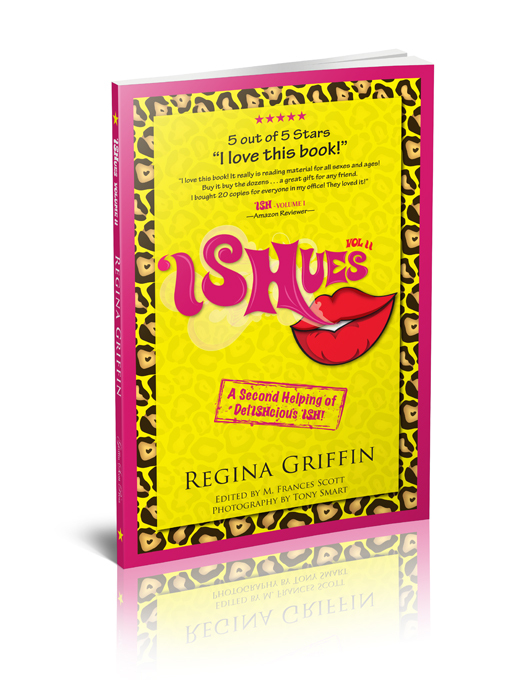 Almost 13 months to the date of publishing my first book, its follow-up, “Ishues” was published in March 2012 under my newly launched label, Griffin Scott Press. No doesn’t always mean NO. It most often means you got the wrong person, or maybe it was the right person at the wrong time. Pursue the pursuit with vengeance. If you can only see yourself having what you can currently afford, you’re limiting your possibilities. Keep a running journal of your short and long-term goals. There should be dozens of items on both lists. Set a strategy so that the short-term goals bleed into the long-term. Align with people, companies, groups, associations and networks who are experts at what you seek. Find the experts on social media (like them, follow them, talk to them). It’s the best advice and insight you’ll get free, from people who were untouchable before social medial was born. Just because others failed trying to execute a plan, doesn’t mean you will. I don’t care how many times people tell you they’ve tried it but it didn’t work–still go for it! The person who failed doesn’t have your drive, your spin or your vernacular. Two people can undertake the same task using the same methods but end with different results. That’s what makes us unique as people and business owners. It’s also what separates the rule makers from the rule breakers. My indie peers encouraged me to sell my books from the trunk of my car, mall kiosks and local festivals. While those venues are not beneath me, my distribution vision was much greater and I always pursued the top rung of the latter. Today, nothing puts a bigger smile on my face than listening to fellow writers pine over how independent authors never get into brick and mortar bookstores or airports. Mine did! In fact, my very first book yielded the attention of Barnes and Noble for an in-store book signing and my books are sold at the largest passenger airport in the world, Jackson Hartsfield International. My journey started just two short years ago and has ended with the titles of author and publisher now following my name. Now go make it possible! Ish #272: Change is temporary. Transformation is permanent. Just ask a butterfly. Ever heard of a butterfly reverting to its old life as a caterpillar because it just couldn’t kick a bad habit? Of course not! When a butterfly morphs from its state as a caterpillar the change is permanent. In fact, it is not a change that occurs, but a transformation. Despite what you’ve heard, transformation and change are by no means synonymous. Change is the act of modifying or altering, but a transformation is a complete conversion. In life, our quest is to be transformed through our mistakes and life experiences. Our ultimate hope is to take the good and bad from our lives and allow it to serve as a roadmap for wiser living. Unfortunately, it’s a lot easier said than done. The heart is often willing and open to transformation, while the mind is bewildering comfortable with simple change. It is always the brain that reminds us of how difficult transformation is to accomplish – as those habitual tendencies kick in when we’re attempting to stop smoking, drinking or any stagnating habit. Still, we seek the ultimate prize of transformation. “So how do I create transformation in my life,” you ask? You do it by simply – being. From this moment forward, start being that person you want and persevere for the life condition you desire. When you fall off the wagon, get up and get back on it. Regardless of the amount, size and depth of your battle scars – fight for your transformation. Let’s consider the butterfly again. Be encouraged knowing that in its final stage, the caterpillar sheds its skin and the cocoon prepares for breakthrough. However, while some butterfly species complete their transformation in only a few weeks, some require as much as two years. In the end, no matter the suffering or length of time, the transformation always comes and the reward is permanent. Your future awaits…fly toward it! Watching the evening news one would think the world is on its way to hell in a dastardly hand basket. Overpaid analysts have discussed the failing economy, housing crisis, plunging stock market, stock market, and ailing unemployment rates in ad nauseam. Life demands can feel like a relentless succession of jabs and body blows – ultimately making the pursuit of happiness seem impossible. At the end of the day, when you’ve commuted ninety minutes to and fro, dealt with the bosses’ demands, used your last five and a half brain cells to figure out the kids’ algebra homework, what pile of excuses do your dreams lie atop? Is it the, “I’m way too busy” pile? Or, if you’re a professional procrastinator, could they be found in the “next year is my time to shine” pile? If you are a parent, maybe they’re buried in the bowels of the endless, dream-stunting “when the kinds go off to college” pile. Wherever they’re hiding, do yourself a favor; find them, dust ’em off, and place them on the front of your tongue and the top of your to-do list. Your dreams are yours for the taking. It’s impossible to live a purpose-driven life without having a dream in tow. Your dream is your purpose. Your dream is the vision in the review mirror of your subconscious steaming like a YouTube video. Your dream is that looping audio on the favorites playlist in your brain, and it’s screaming to move up to your Top 10. Speak and act in favor of your dreams daily. They’re not some old, out-dated concepts. Don’t place them on a shelf, as if they need to go through some pickling or aging process. Nor should they be manifested in the next generation or lived out in the lives of your children. God put those hopes and dreams inside of you to harvest in the here and now. This is the day to grab your dreams by the you-know-what and ride them into the sunset. When referring to your dreams always use when, not if. Sign me up to be a Ishaholic! Can't Get Enough of 'Ish?